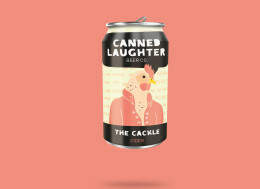 Brief: To design the packaging and identity for a local start-up craft beer business, Who wanted to appeal specifically to comedians. I created a fun and playful packaging and brand, inspired by the way people laugh. The packaging needed to be funny and relatable to the comedian demographic so I used puns and ‘observational’ comedy tactics to identify characteristics in the way people physically laugh. Including humour, along with a playful illustrative style aims to stand out and grab the attention of the demographic.